The new buzzword among truck industry innovators is something called platooning. 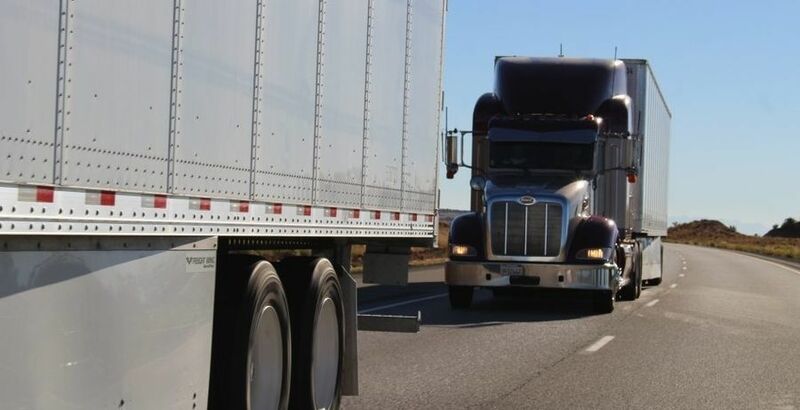 Think of it as two or more big-rigs travelling with minimal gap between them as if chained together and, once fully autonomous vehicles hit the road, the only active driver is the one in the front vehicle – all this for an estimated 7 percent to 10 percent increase in fuel efficiency. But, this being the 21st Century, the "chain" is actually a wireless digital tether, and the following trucks are actually autonomously directed for following distance, acceleration and braking by being given instructions from the lead vehicle. Platooning made the news lately because one of its earliest innovators and most-active implementers has ended its participation in the concept. In January of this year Daimler, the parent company for Freightliner trucks, announced it was ending experimentation and testing for its platooning program. 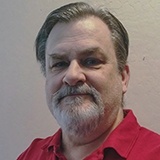 After several years and thousands of miles of testing on America's roads Daimler said that the fuel savings from platooning was less than expected, and was made even less when less-perfect conditions were experienced, such as something that causes the platoon to disconnect and makes trucks have to speed up to connect again. Having to rely on motorists to resist trying to swoop in and fill the very narrow gaps inherent in the platooning scheme. That the guy in the front truck, like the lead bird in a flock, takes the brunt of fuel hit. There wouldn't be much incentive for that lead truck in a mix of trucks from different trucking companies. Not all states have following-distance laws that allow a small enough gap to capture the fuel savings from platooning. Those that do, generally have restrictions on the following distance, none less than 40 feet, and they require digital tethering, and automatic braking. CCJ reports that not everybody is as negative about platooning as Daimler is. Switkes said Peloton has been working with state regulators to ease up on the gap restrictions in order to allow for platooning. 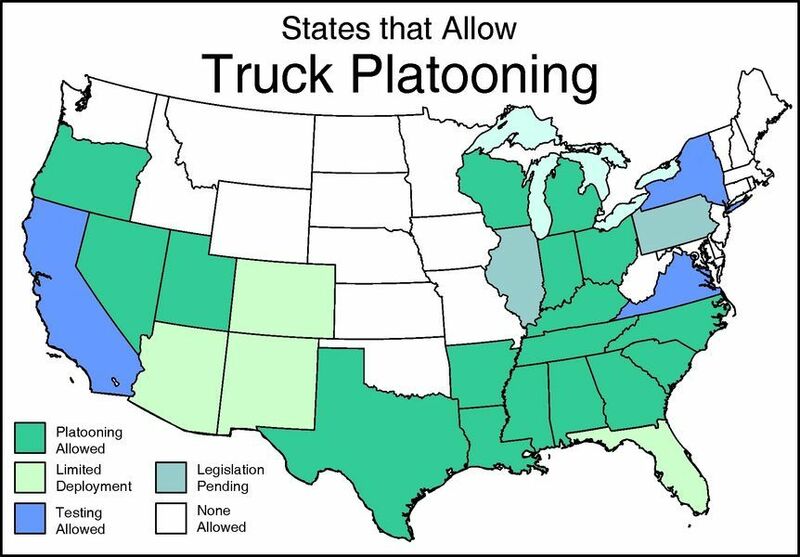 So far there are 18 states that have amended their laws to allow platooning, and several more states are allowing limited use and testing. The size of the gap is crucial because if there is too wide of a gap platooning loses its fuel-saving effectiveness; and encourages "cut-ins." But too narrow of a gap invites safety issues. Switkes said they typically run a 40-foot to 60-foot gap, and do see some cut-ins, but they are rare on most highways. In order to minimize the gap and maximize fuel-efficiency and safety trucks are arranged in line according to their braking ability; which Switkes says means that the trucks cannot swap order. Steve Boyd, vice president of external affairs and market development at Peloton, told Transport Topics recently that although the system automates braking and acceleration drivers are still on-board steering manually in all vehicles in the platoon. To make that work, Boyd said that the heavier truck with the longer stopping distance is always in the lead. Drivers work together to cooperate with issues such as vehicles in their blind spots.